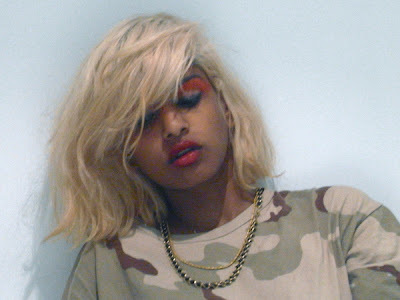 Well not really as it was last weekend but did I tell you I finally met M.I.A? Those who follow this here blog on the reg will know that I have her on a bit of a pedestal. Well, I bumped into her at a party last Sunday night and I said hi. Nothing major to report…I gave her an Obnoxious Owl sticker (yes I know, lame) but hey! she put it in her pocket so she might read it! And we had a tiny little dance off/grind on each other on the d floor later to Hypnotize by Biggie. Yeah, we’re like *this* now hahaha. I kinda wish I hadn’t met her…kinda. I mean…now what? Anyway, I was so starstruck I didn’t even ask for a photo…F to the A to the I to the L. Maybe next time hey Maya? Oh yeah, her performance at Big Day Out…. :/ – we’ll save that for another post shall we? 1 Comment on BREAKING NEWS!!! Ahhh that is too cool!